As June closes, it has been one of the busiest months of the year on all fronts. 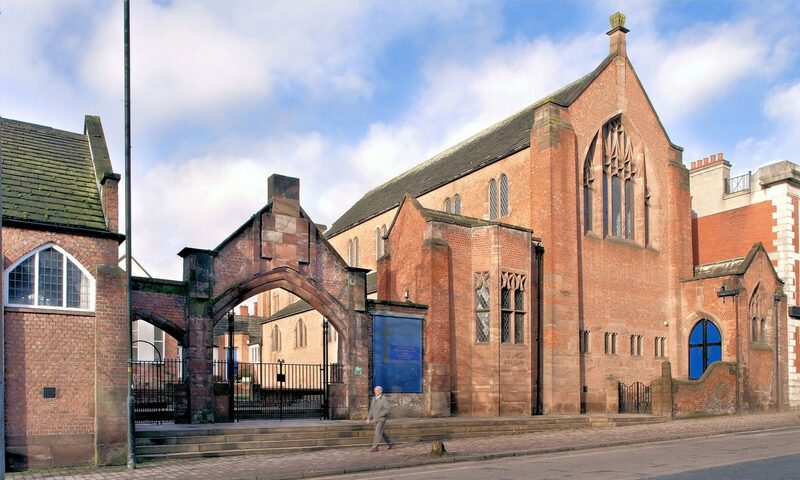 Apart from the restoration work and contractors’ meetings there have been five Caring for Middleton’s Heritage events and three tour groups. The first event began on the 9th June with a day about Edgar Wood, conducted by David Morris. 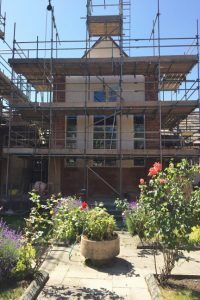 This was followed on the 13th with a film evening introduced by Geoff Wellens, Hard Hat Day on the 19th with Stuart Furnival, site manager and stone mason for Stone Edge and Austin Grady of Conservation Services NW. Rob Trueblood led a film night on the 20th showing another of Anthony Dolan’s film this titled ‘Enlightenment Middleton’. 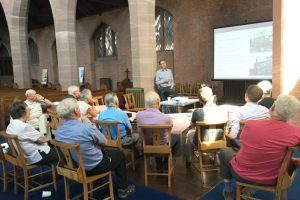 In between these events 40 plus members of Chester Civic Trust paid us a visit on the 16th following a talk earlier in the year by David in Chester. More details of these events can be seen on earlier event postings. 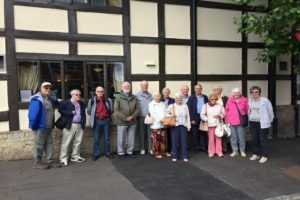 Cheadle U3A visited on 21st and were impressed by the architecture of Edgar Wood, viewing the Church and walking around the Conservation Area and other EW buildings. 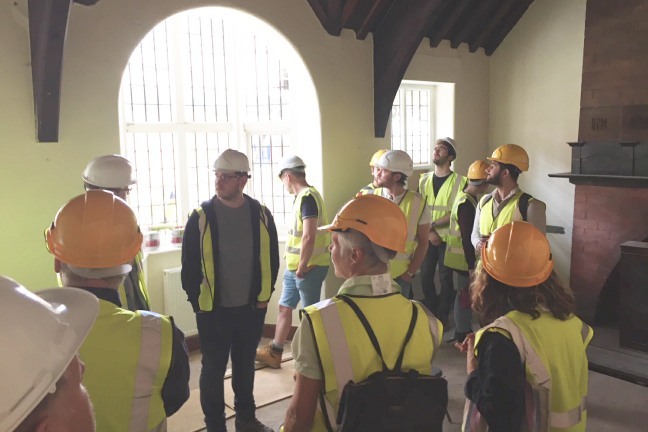 To end the month, James Innerdale of SPAB did a half day course on ‘Maintaining Heritage Buildings’. The participants now have no excuse for leaky gutters or blocked drains. No sooner had this group vacated the building when the Manchester Civic Society arrived for their visit. No time for lunch! I almost forgot, there is restoration work in progress. 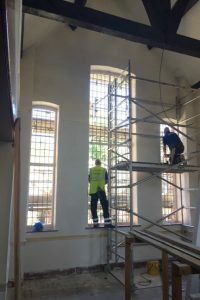 Most of the 70 plus windows are now fitted the latest ones being in the lecture room, these are the most prominent in the building. The large central one being sponsored by the EW Society.